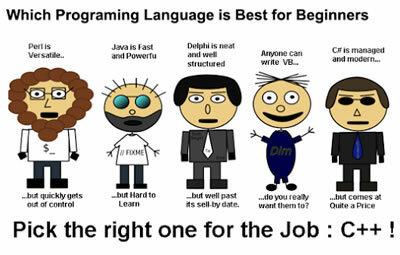 Key Difference: A programming language is a proper and formal language that has been designed to enable programmers to communicate instructions to a computer. Programming languages can be used to create programs. Scripting languages are generally a type of programming language that supports scripts. Scripts are programs written to control another programs. These days, computers, smartphones, and the internet and not a luxury, but rather a need in most people’s lives. However, despite using these things everyday, many people don’t realize the time and energy that go into developing applications. In order to develop an application, a developer will mostly need to have knowledge of programming languages and scripting languages. A programming language is a proper and formal language that has been designed to enable programmers to communicate instructions to a computer. Programming languages can be used to create programs. These programs can then be used to control the behavior of a machine or to express algorithms. Previously, computers were slower and outdated. They has slower processors and less RAM, due to this programmers had to use detailed programming languages to develop applications, so that the computers would understand the explicit instructions and execute them. As computer got faster and smarter, there was no need to develop full programs to execute simple tasks. Hence, using a detailed programming language to develop a full program was not required. Instead, a programmer would use scripting language to automate those quick and dirty tasks. Scripting languages are generally a type of programming language that supports scripts. 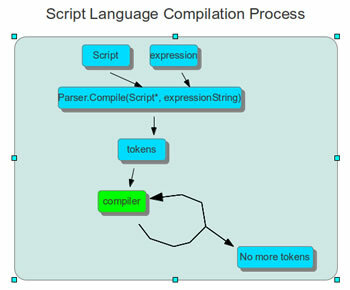 Scripts are programs that are written for a special run-time environment. Instead of being compiled like full programs, they are interpreted and run within an existing program. Basically, scripts are programs written to control another program or programs. Scripts take a longer time to run, as the script must first be interpreted and then run in a supporting program. So even though scripting languages ran much slower than the compiled languages, they were easier as they required much less typing to get stuff done. A programming language is an artificial language designed to communicate instructions to a machine, particularly a computer. A scripting language, script language or extension language is a programming language that allows control of one or more applications. Programmed languages are compiled into a more compact form that does not need to be interpreted by another application in the same way. The compiled result is stand-alone. Takes longer to develop as more code needs to be written. Takes less time to code as it needs less coding. C, C++, C#, Java, VC++, VB, Basic, COBOL, Pascal, etc.